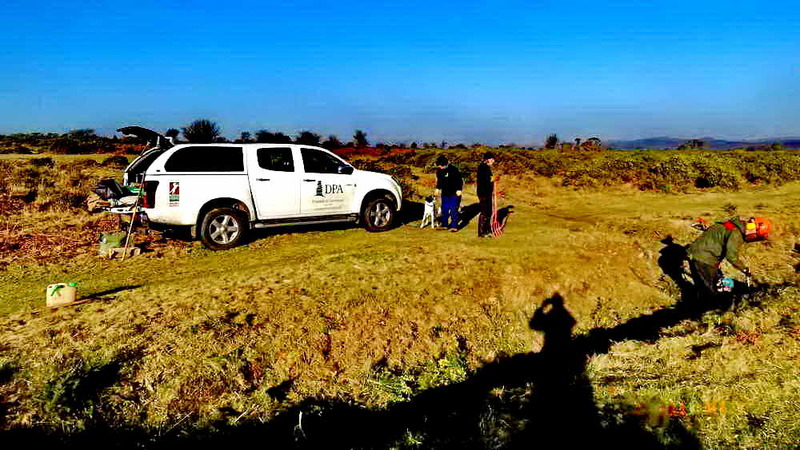 In 2008 the DPA started clearing gorse and other vegetation from the sides of the Plymouth (Drake’s) leat as it runs south from Yelverton to where it leaves the open land near Roborough, about 3 miles in all. In the last ten years since we have worked on both the Plymouth Leat (inaugurated 24th April 1591) and the Devonport Leat (completed in 1801, although part of it was flowing in 1797). 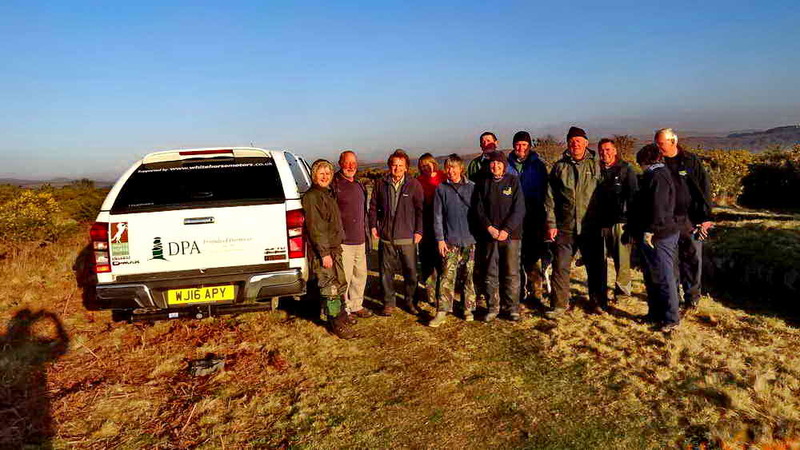 During three workdays this winter (8 November, 20 December and 11 January) DPA conservation volunteers cut and removed over 750 metres of regrowth. Passers-by are always interested and complimentary about the work; it is now much easier see and walk along the leat. We are grateful to the Roborough Commoners for encouragement and a small amount of funding for the work. The DPA “APY Wagon” with volunteers. There is much more about this Leat and the Devonport Leat and the work the DPA conservation volunteers have done in previous blog posts, particularly in 2015 and 2016.